Google was once satisfied to have its satellite products, like Maps, drive goodwill among startups and create new exposure to their users. But now we’ve heard Google’s new plan is to make these products self-sufficient. It’s begun charging high-volume users of its Maps APIs. Companies like Foursquare and Apple are balking at the price hike and looking to strategically reduce reliance on Google, so they’re switching to OpenStreetMap. This short-term revenue play could turn into a long-term disaster because OpenStreetMap users have to contribute the improvements they make to its data, so one day it could become better than Google Maps. And who’ll be next to bail on Google’s API? Yelp comes to mind. The Google Maps API used to be free, as it was trying to gain popularity and displace MapQuest and Yahoo. At the beginning of March it began charging anyone pulling over 25,000 page loads a day $4, $8, or $10 per additional 1,000 loads, and also now offers Premier Tier. Foursquare and Apple jumped ship, plenty of other big companies might do the same. With it now publicly traded, investors could push Yelp to switch to a free alternative. Digtal Trends published some great background and analysis on the maps industry this morning. It explains how Foursquare is using a company called MapBox to improve data it pulls from OpenStreetMap, while Apple might use acquired companies including C3 Technologies to add 3D graphics. This is where Google’s long-term problem emerges. OpenStreetMap, or OSM, is totally free at any volume, but if users improve its data on their own, they have to contribute those improvements back to OSM. 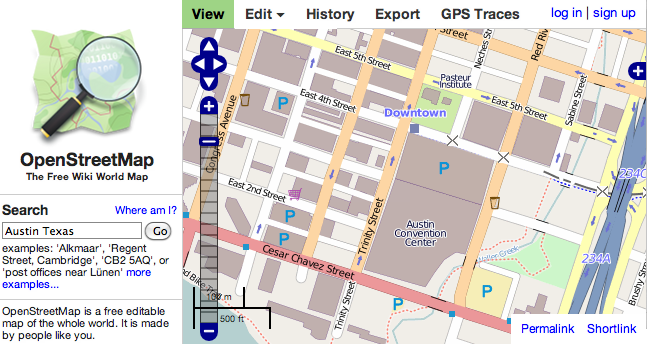 If someone augments OSM with satellite, street view, reviews, or other mashups, everyone’s maps benefit. As more big maps users switch to it, it will get better and better, creating a snowball effect where it gets more attractive with time. While Google has the best maps right now, these contributions mean it might not stay that way. Like crowdsourced Wikipedia usurped traditional encyclopedias, the same could happen with maps. One day even low-volume free clients might switch to OpenStreetMap and end users might prefer it. This could hurt Android, which is Google’s future. The search and ads giant has plenty of ways to make money. Charging for the Google Maps API seems like a wrong turn.